Six years ago, 68% of hospitals in NC were affiliated with a health system. Today, 85% of our member hospitals are in a health system. The managed care organizations (MCOs) are squeezing out small behavioral health care providers, and, legally or not (I say not), contracting with only large comprehensive providers. Home health providers are acquiring, merging, and/or consolidating with other home health providers to become a bigger fish in order to have more input in legislative issues and rate issues. Providers of all types are reaching across service industries to form more comprehensive entities whether with intent to place a bid to be an accountable care organization (ACO) or provider led entity (PLE) or to corner the market on certain services. Whether you like it or not, health care is transforming from small, mom and pop companies to large, comprehensive corporations that will encompass the whole treatment of an individual. With the implementation of the Affordable Care Act (ACA), came a “never before seen,” tidal wave of regulations applicable to health care. Even health care providers who were prepared and aware of the incoming tsunami of regulatory force did not foresee the sheer magnitude of the new regulations coupled with the intended and unintended consequences of such regulatory horsepower. Surfing on the top of the tsunami came the RACs, MACs, QICs, PERMs, MFCUs, CERTs. Also caught up in the overwhelming and over-expansive riptide, were more credible allegations of fraud, MCO closed networks, fraud waste and abuse (FWA) investigations, prepayment reviews, post payments reviews. Small providers have a more difficult time defending themselves against regulatory audits or credible allegations of fraud, have fewer resources to devote to regulatory compliance issues, and have less pull with those in power at associations and in government. This is not to say that I think bigger is better. To the contrary, personally, I would much rather receive health care services from a smaller provider rather than some big conglomerate where I never see the same doctor twice. This is just reality. In addition to the ACA, our NC General Assembly is pushing for Medicaid reform, which will also be a catalyst to an already busy market of merging, acquiring and/or consolidation. I have received more telephone calls in the last year asking about buying, selling and partnering up with health care agencies than 5 years previously, combined. The number of agencies seeking to team up with other agencies is at an all time high. Reach out to those people with contacts, such as your attorneys, my firm, health care brokers, your associations, and inquire whether they know of any agencies seeking to merge, acquire, or consolidate. Start the conversation. If confidentiality is a concern, then be sure to express that concern from the onset of the conversation. Most importantly, whatever you decide to do, be proactive and be informed! On August 1, 2015, the Center for Medicare and Medicaid Services (CMS) clarified (limited) the scope of Medicare auditors in a published article entitled, “Limiting the Scope of Review on Redeterminations and Reconsiderations of Certain Claims.” (MLN Matters® Number: SE1521). The limitations apply to Medicare Audit Contractors (MACs) and Qualified Independent Contractors (QICs). This new instruction will apply to audits conducted on or after August 1, 2015, and will not be applied retroactively. Important to note: this instruction does not apply to prepayment review, only post payment reviews. MLN Matters® Number: SE1521 was published in response to the overwhelming, increasingly, mushroomed backlog of Medicare appeals at the Administrative Law Judge (ALJ) level. Six years ago, prior to the Affordable Care Act (ACA), the number of Medicare appeals at the ALJ level was sustainable. Six years later, in 2015, the Medicare appeal backlog has skyrocketed to numbers beyond the comprehension of any adversely affected health care provider, i.e., over 547 days for adjudication! My wonderful husband and I purchased a small farm at the beginning of the year. If you have been following my blog over the past year, you will know that we have horses, peacocks, a micro pig, two dogs, and a 10-year-old. It is a whirlwind of fun. Well, included in our purchase was a very shallow, very mosquito-ridden pond. It was about 4-5 inches deep and I never really thought about it. It was a pond. It was not beautiful, but it was not ugly. It was just there. Every day, for three months, I come home to a deeper and deeper pond. “I’m bound to hit a spring,” he would say. Or “Leroy says that there is a lot of water under our ground.” How Leroy came to this conclusion, I do not know. But, slowly, and almost unperceptively, each day the hole grows wider and deeper. You cannot undo digging a hole in your front yard that could swallow an elephant..or maybe two or three elephants. Just like you cannot undo a Medicare appeal backlog that could, potentially, fill my hole with its paperwork. You just have to make do, sit on your front porch, and admire the meteor-like hole that resides in your front lawn. 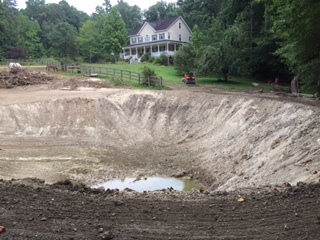 We (He) have (has) high hopes that our hole will become a lake or a swimming hole. In order to help the cause, I spit in it every time I walk by it. In the alternative, we sometimes aim the sprinkler toward the hole and let it run for a few hours. These are examples of our attempts of reconciling our hole into a beautiful swimming hole. Similarly, when CMS created these MACs and QICs for Medicare audits, at first, it seemed that the MACs and QICs had no limits as to their scopes of authority to audit. Due to these overzealous and, sometimes, overreaching audits, the appeal backlog increased in number, then multiplied. Similar to the construction of my hole, the appeal backlog grew slowly, at first, then exponentially until the backlog is out of hand and uncontrollable. See blog. One example of the seemingly limitless authority that the MACs and QICs wielded was that the auditors would provide reasons why claims were noncompliant, the defect could be cured, and the MACs and/or QICs would deny the claim for an entirely different reason. The auditor would, in essence, be moving the goalposts after you kicked the ball. And the appeal backlog continued to swell. The ability for the auditors to expand the review of claims beyond which was initially reviewed contributed the massive backlog of Medicare appeals at the ALJ level because more providers appeal an audit with which they disagree (common sense). Just like my hole in my front yard, the backlog of appeals grew, then ballooned until the number of Medicare appeals stuck in the backlog could possibly fill my hole. See blog for the Medicare appeal process and appeal deadlines. According to the most current statistics available, there is a Medicare appeal backlog of approximately 870,000 appeals. The average processing time for appeals decided in fiscal year 2015 is 547.1 days. Look at the balloon effect of “average processing time by fiscal year.” In 2009, the average processing time was 94.9 days (a little over 3 months). Now it is over 540 days (almost a year and a half)!! In an attempt to clear the backlog, CMS released MLN Matters® Number: SE1521, on August 1, 2015, in which “CMS has instructed MACs and QICs to limit their review to the reason(s) the claim or line item at issue was initially denied.” (emphasis added). An exception, however, is if claims are denied for insufficient documentation and the provider submits documents, the claim may still be denied for lack of medical necessity if the documents submitted do not support medical necessity. This new instruction found in MLN Matters No. SE1521 is an attempt by CMS to reconcile the huge backlog of Medicare appeals at the ALJ level. It is a small gesture. Quite frankly, this instruction should be self-evident as it is inherently unfair to providers to move the goalposts during an audit. 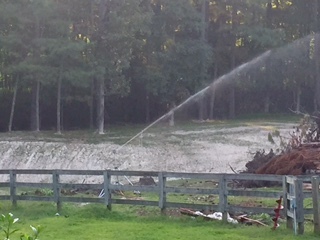 I liken this gesture to my husband aiming the sprinkler toward the hole. In other words, in my opinion, this feeble gesture alone, will not solve the problem. But, in the meantime, it will benefit providers who have been suffering from the goalposts being moved during an audit. 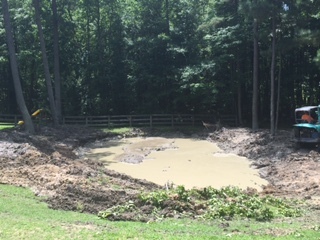 Maybe the backlog will be fixed when my hole has transformed to a swimming hole. Gordon & Rees Ranked #1 in 2015 Growth!! The firm also leads the way among the nation’s top 200 grossing firms in net partner acquisitions since January and in associate gains over the last nine months. Lateral Link (the report’s author) declares the gain of lateral partners one of the most revealing measures of a firm’s health. 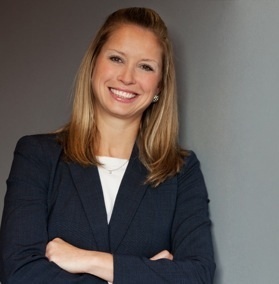 This year the firm has surpassed the 650-attorney mark, and over the past 10 years, lawyer count has grown by 230 percent, the number of offices has grown from eight to 35, and the firm’s national, regional, and local practices have quadrupled — all without merging with other firms or incurring any long-term debt. Over the last decade, Gordon & Rees has climbed 50 spots in the AmLaw 200, landing at number 126 this past year. The firm is also currently the 71st largest law firm in the United States as recognized by Law360, and ranks No. 26 on the American Lawyer’s Diversity Scorecard. Federal Audit Spurs NC to Recoup from Dentists Who Accept MPW!! When providers receive Tentative Notices of Overpayment (TNOs), we appeal the findings. And, for the most part, we are successful. Does our State of NC simply roll over when the federal government audits it?? MPW is Medicaid for Pregnant Women. Recently, I had noticed that a high number of dentists were receiving TNOs. See blog. I hear through the grapevine that a very high number of dentists recently received TNOs claiming that the dentists had rendered dental services to women who had delivered their babies. However, my question is: Does NC simply accept the findings of HHS OIG without requesting a reconsideration review and/or appeal? It seems that if NC appealed the findings, then NC would not be forced to seek recoupments from health care providers. We already have a shortage of dentists for Medicaid recipients. See blog and blog. And if the federal auditors audit in similar fashion to our NC auditors, then the appeal would, most likely, be successful. Or, in the very least, reduce the recouped amount, which would benefit health care providers and taxpayers. Whenever NC receives a federal audit with an alleged recoupment, NC should fight for NC Medicaid providers and taxpayers!! Not simply roll over and pay itself back with recoupments! This audit was published March 2015. It is September. I will look into whether there is an appeal on record.